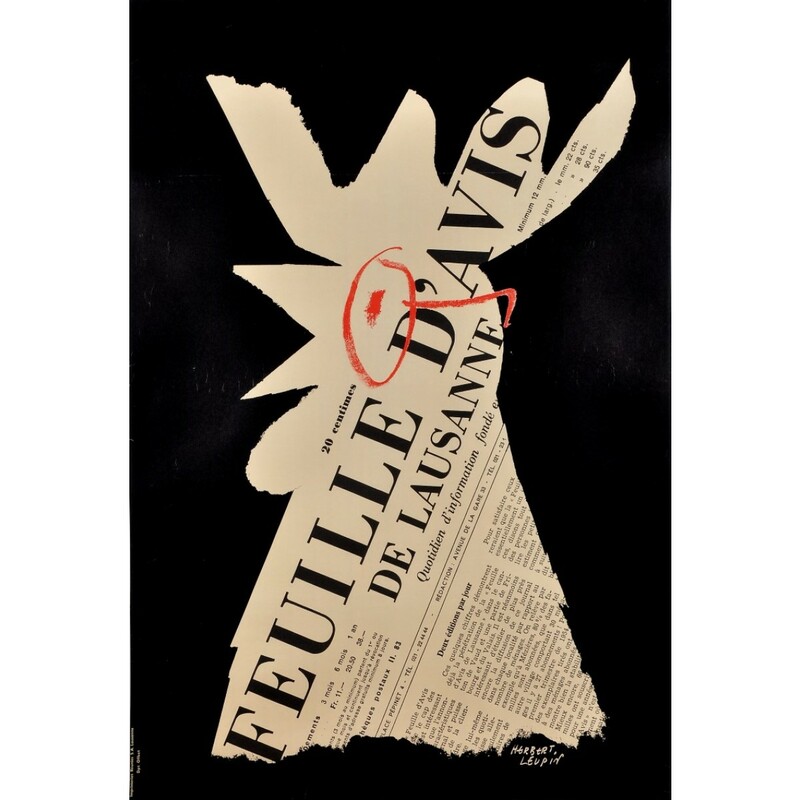 One of the most famous Swiss posters by Herbert Leupin for the newspaper "La Feuille d'avis de Lausanne » (1958). On this poster Herbert Leupin used the rooster to suggest reading this morning paper at waking up time. Herbert Leupin (1916-1999) was a Swiss graphic designer known primarily for his poster art. Leupin is remembered as the creator of the ubiquitous Milka cow image, who made his name in the 1940s through his use of the magic realism style of images for advertising consumer goods.